The upcoming general election in Spain will bring a complete change to the country’s political landscape. The overhauling of the party system is a safe bet, but there is a lot of uncertainty regarding how will the final picture look like. 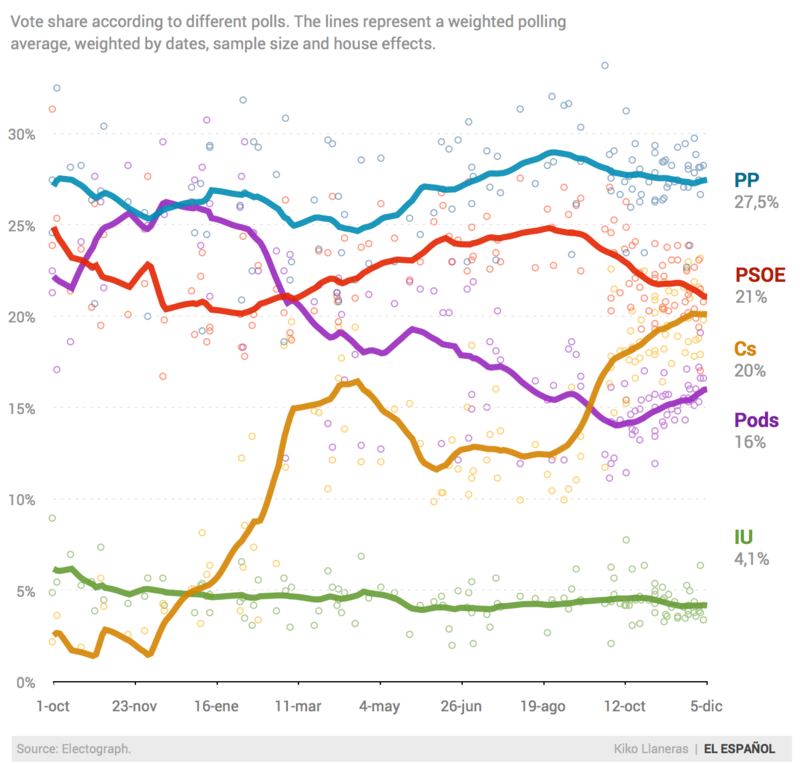 For the first time in Spanish recent history, there are more than two parties on the run and coalitions will probably be required to elect the next Prime Minister. In this context, polling forecasts becomes more fruitful than ever. Following others in the USA and the UK, I have developed a forecast model for the next Spanish elections. The model aggregates dozens of polls and historical data to perform 15.000 simulations of the electoral results. It aims to predict the seat count for every party, attaching a probability distribution to different alternatives. Total seats for each party seats. MPs at each district for each party. A poll of polls in order to capture trends in vote shares. The model is being published and updated at EL ESPAÑOL; you may check the results and dig into more details there.